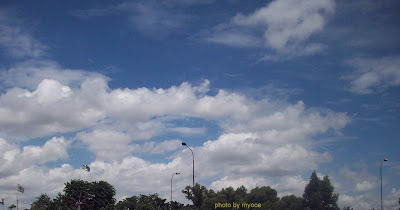 As I work far from home, I have a chance to observe the sky on my journey to and from my office. Rather than day dreaming or dreaming the time away, sitting in the passenger seat of the car...it's better for me to observe the interesting cloud formations painted in the sky. 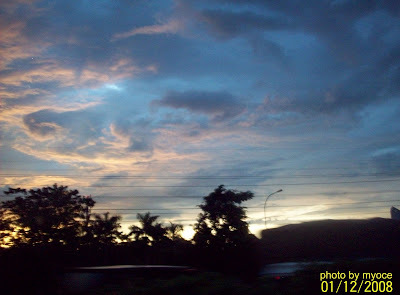 This is one of my favorite photo...I took it from the toll road one late afternoon. 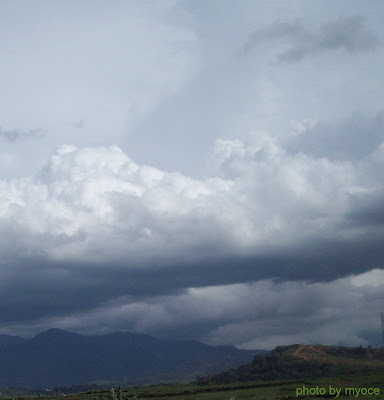 Long wispy gray clouds are drifting in front of a group of white ones,adding an additional dimension to the scene. 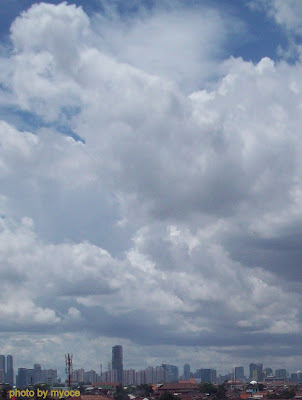 A calm sweep of clouds makes a tranquil background. Oh! !....now...where did I put that big strong umbrella ? Hmm...our world's so small but the sky is so vast !! It is a beautiful photograph. I think that it is surely interested in your photograph because Mr. yongjoon likes photograph. It might surely become cold also in Seoul where Mr. yongjoon. Isn't it cold in your town? Please takes care of health. How are you today ? Please keep yourself warm in the cold weather. Oh,I'm sure it is cold in Korea too, but according to Manager Yang...Yong Joon nim is riding his bicycle along Han river. He must be very strong. 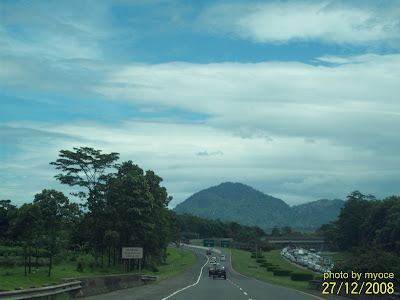 It doesn't get too cold in Indonesia...we only have hot season and rainy season. It is rainy now and the wind is cold too. The problem is floods...if it rains too much. 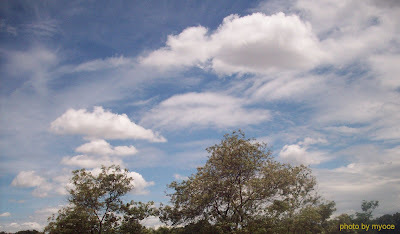 Dear Baemincoco, thank you for liking the cloud photos, there are many clouds here now, because of the rainy season. Hoping you have a nice time in Japan with the beautiful winter scenery.